The pull of Australia’s lifestyle and education system are not the only reasons Chinese buyers are heading here – there are also factors pushing people and their dollars thousands of kilometres from home. 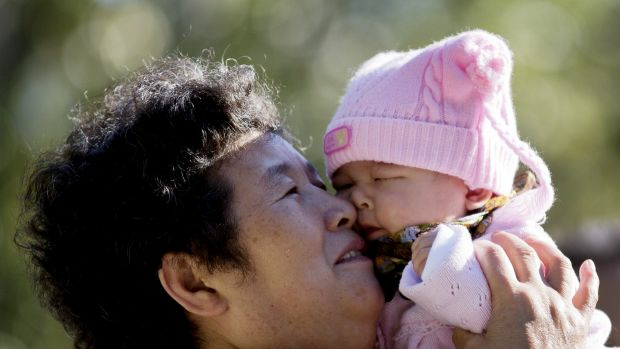 China’s former one-child policy and their highly pressurised education system are driving interest to Australia, according to an RMIT study. Why are some Chinese families so wealthy? The former policy created a “doubled-up” effect of wealth created and accumulated by the first generation when it was inherited by the second generation, RMIT associate lecturer Peng Wong said. Both families of the first generation had one child, and the two children of those families married and formed their own household, he said. “This young family inherits the wealth from the two families, who have accumulated substantial wealth due to the economic growth in China,” he said. The phenomenon led to enormous wealth liquidity among young Chinese families, which was available to be invested both locally and internationally, according to Mr Wong and David Higgins’ study. Why are Chinese buyers coming to Australia? China’s “going-out” policy since 1999 had further driven Chinese to invest offshore, while unfavourable government policies in other countries “deflected” capital flow to Australia, Mr Wong said. Canada abolished their Immigrant Investor Scheme in February 2014, while the Singapore government imposed “cooling measures” such as the 15 per cent stamp duty for foreigners. There were also limited investment options in China and an underperforming domestic residential market, he said. China remains by far the biggest foreign buyer of Australian property, splashing $24.3 billion in 2014-15 – more than triple the United States and six times the outlay from Singapore, the Foreign Investment Review Board annual report shows. Buyers who love regular holidays in Australia, rather than being primarily motivated by making gains on purchases, are prominent among overseas-based house hunters, the study found. Esther Yong, director of AC Property, said the Victorian government’s increased stamp duty for foreign buyers and stricter bank requirements were starting to deflect pure investors. “Australia is starting to become like Canada and Singapore because of all the loan and tax issues,” she said. New South Wales and Queensland also introduced a 4 per cent and 3 per cent stamp duty surcharge for foreign buyers. Overseas developers who seek to build “significant” residential projectswill be exempt from the Queensland government’s surcharge. Mr Wong and Mr Higgins, who interviewed property experts in Shanghai as a part of the study, revealed parents were sending their children to Australia at an earlier age for education. China’s education system was rigid and lacked innovation, Mr Wong said. “The students are being heavily assessed based on their capacity to memorise and answer standardised exam questions. 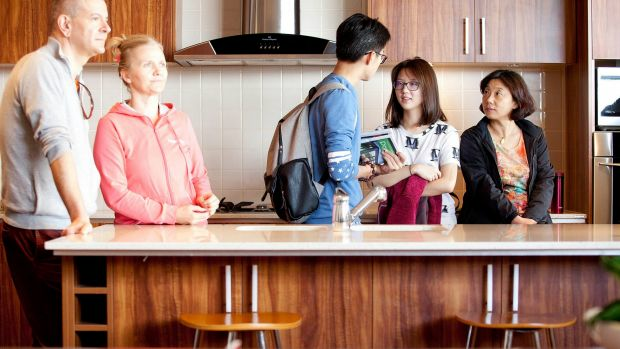 The research also showed that residential properties near universities and higher-ranked secondary and primary school zones in Melbourne were experiencing significant international student enrolments. Speaking to parents in China last month, Ms Yong said families were enrolling their children in international kindergartens and schools in China to prepare them for schooling in Australia. Changes to student visa rules from July 1 should boost demand for properties in good primary school zones, a report by buyers agency Secret Agent says. Melbourne-based Ray White Balwyn director Helen Yan said many Chinese families were starting to apply for the student visas so they could enrol their children in primary school. She expects the visa changes to translate into sales at the end of this year or in 2017.